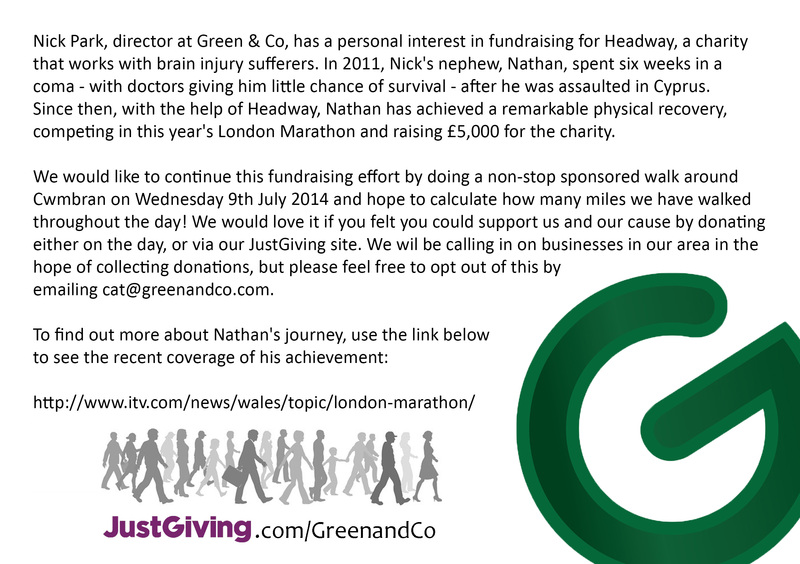 Here at Green & Co, we try to run three charity events a year, with staff choosing the charities that we support. 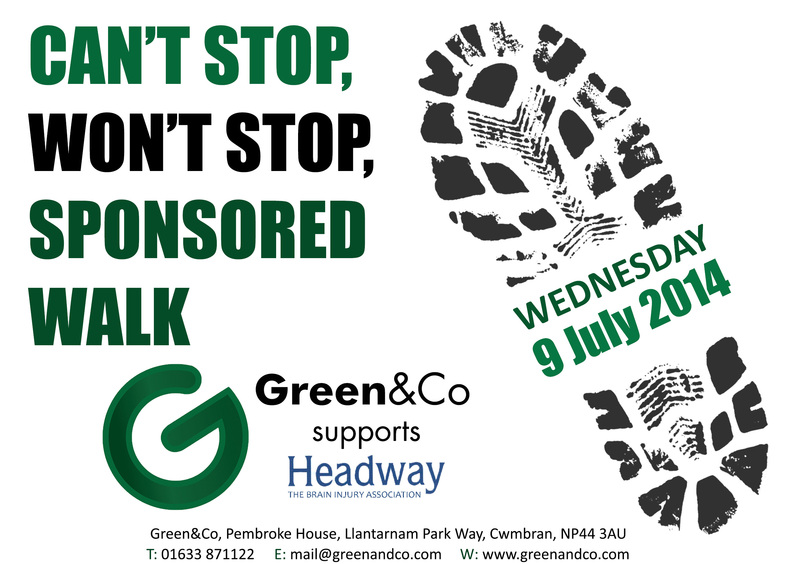 Our first event for 2014 is a sponsored walk for Headway Cardiff on Wednesday 9th July and we would really appreciate it if you felt you could support us in this. We would also love to see you on the day, if you wanted to join us as we walk around the local area. Groups will be setting out at different times throughout the day, so please feel free to turn up on the day and join in! Previous Previous post: Green & Co Gets Gold! Next Next post: Receiving Rental Income: Should You Be Completing A Tax Return?